Our dependable sealer gives you the durability you need for continuous, heavy-duty use along with the sensitivity required to handle a variety of materials. A simple foot-pedal design provides uniform heat distribution while an adjustable thermostat permits accurate temperature control for superior seal integrity. Available in two models. 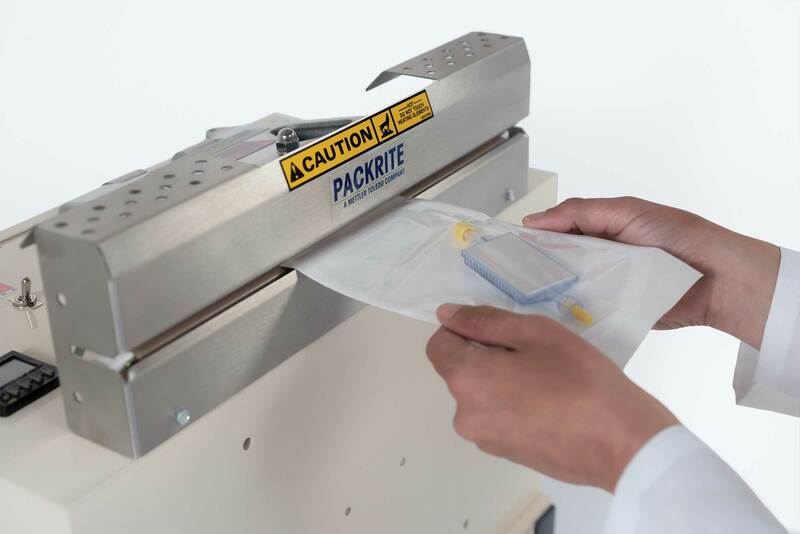 The easy-to-operate PackRite Standard Jaw Sealer can be installed flat or on an incline to enhance usability and comfort. The unit's standard foot-pedal attachment has been designed with the user in mind to help prevent repetitive-motion injury. 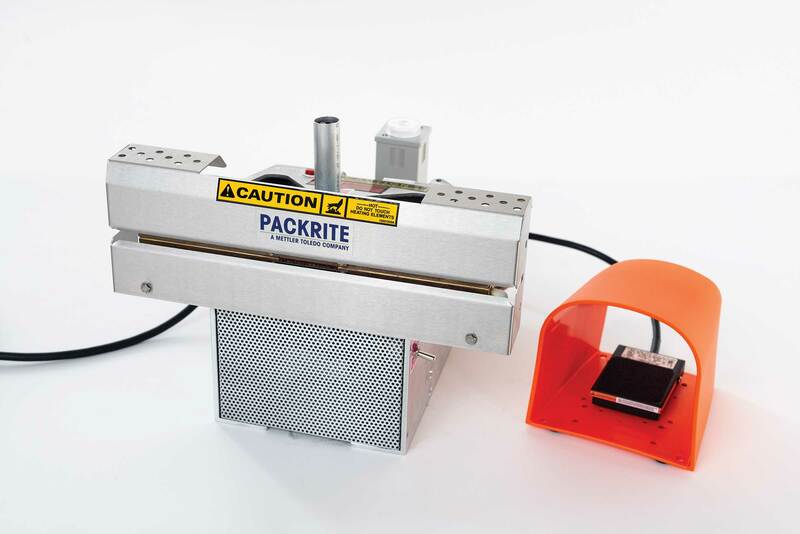 Designed to be used on heat-sealable materials up to 8 mil thick, the PackRite Standard Jaw Sealer comes with OSHA-compliant stainless-steel finger guards to protect operators from the surfaces of the unit's heating bars. PackRite's Standard Jaw sealer couldn't be easier to operate. Using the foot pedal, operators control pressure and dwell by how long and how hard they press. This simple design also means maintenance requirements and costs are minimized. Seal Width 1 in. 0.125 in. ; 0.375 in. Seal Length 12 in. ; 15 in. 12 in. ; 15 in. ; 19 in. Accessories (Optional) Embossed code dating bars (quoted upon request); universal sealer stand (painted metal stand); nonstick coated cover (used with flat seal only. Will give smoother seals on foils and some MIL-SPEC materials. Not available with embossed code dating. ); hole punch: 0.375 in. Optional stand is available. 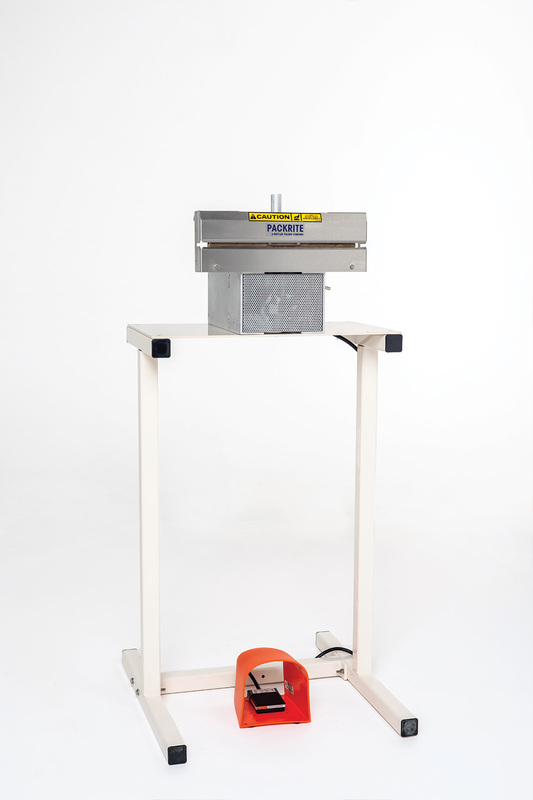 All necessary mounting hardware, brackets, foot-pedal, and foot-pedal guard are standard with the Poly Jaw Sealer.